With Valentine’s Day approaching this week — tomorrow! — don’t miss out on the opportunity to take advantage of what Lassen County has to offer local love birds and galentines. Local restaurants are serving up romantic-themed courses, from surf and turf to a prix-fixe Italian dinner. Lassen Ale Works at the Pioneer Saloon is whipping up a four-course prix-fixe Italian-themed dinner. Patrons will get to choose from two choices for each course, but diners are encouraged to get reservations as soon as they can. Across town, White House Restaurant is serving up a Valentine’s Day dinner with choices of prime rib or a seafood pasta with cheesecake, and Lassen Steaks, inside El Tepeyac Grille, is hosting a four-course meal featuring filet mignon and lobster. Want a dinner and a get-away? Diamond Mountain Casino and Hotel has put together a romantic getaway package that includes lodging, champagne, roses, bubbles, chocolates and a dining certificate. They’re serving a dinner featuring filet mignon, shrimp scampi and lots of sides and dessert. Want to stay home and relax, instead? Papa Murphy’s is whipping up a Heartbaker pizza, conveniently shaped like a heart, for those romantic take and bake moments. Local businesses also offer those celebrating Valentine’s Day great gift options. Snag some flower arrangements from Milwood Florist and Nursery or Every Bloomin’ Thing. They also offer a wide variety of non-floral gifts. 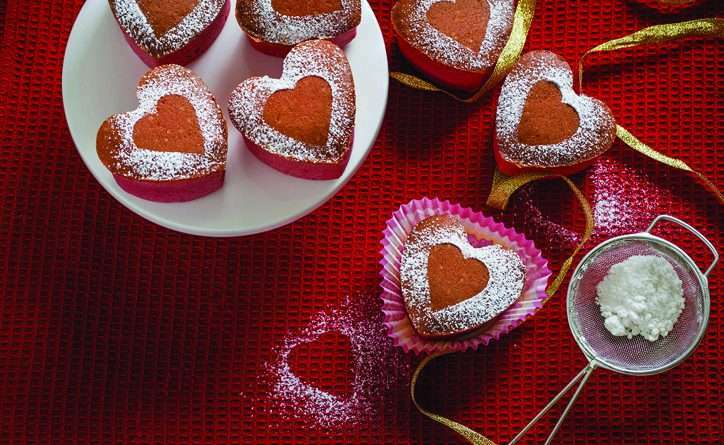 No matter with who or how your celebrating the iconic day of love, check out what local businesses have to offer to make your day special.